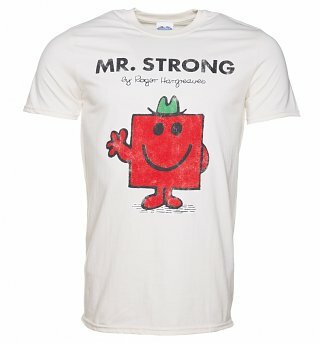 Customer Reviews of "Men's Off White Mr Strong Mr Men T-Shirt"
Love the colour and size of the mr.men perfect. An excellent choice of t shirts and gifts. My go too for all occasions. Rate highly and recommend to my friends and family. What’s not to love and bonus free gift too!